A good designer will steer the client towards the latter, with advice, design reasoning and visual examples. They will use their expertise to help the client arrive at a better design solution that helps their business. They will push back (politely, logically) against ideas that won’t serve the client well. This should be the reason a client hires a designer in the first place, for that expertise. This is also why someone with more years of experience has a higher fee, because they’ve built up that expertise over time. A less useful relationship is when the client stubbornly refuses any expert advice, and wants the designer to follow their instructions without any alteration or input. The designer, in accepting such a project/client, is reduced to a production monkey. They’ve allowed their expertise to go entirely unused and wasted. The client will grumble about the fees, because they don’t view the designer as an expert, only as someone with Adobe who will push the mouse for them. And they would be right, if the designer allows this type of arrangement. I strive to be the first type of designer. That’s the kind of client relationship I like. 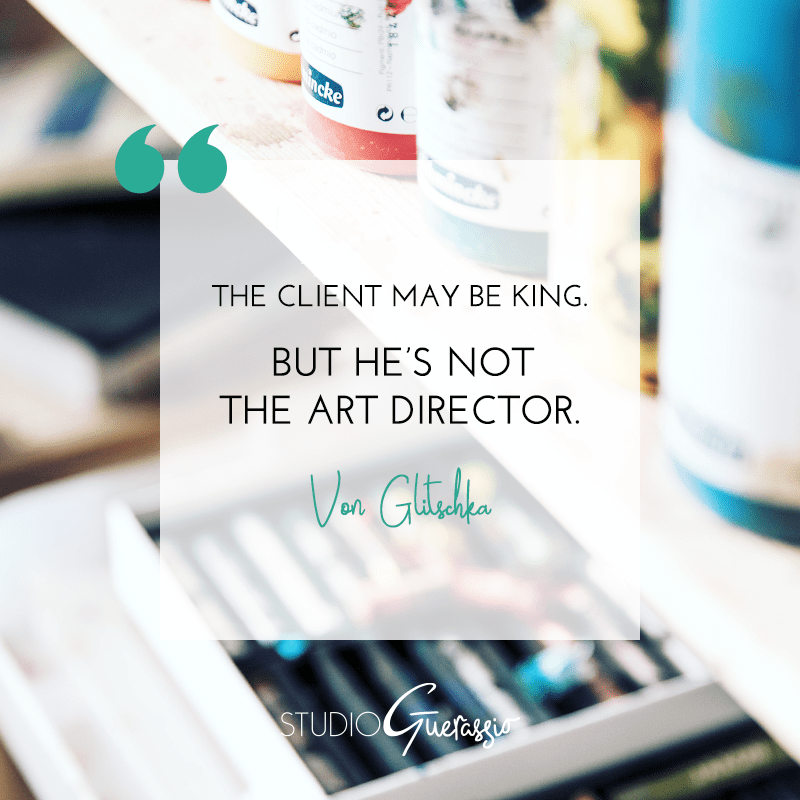 I want to provide great design work to my clients, that helps their businesses succeed – that goal is good for both parties. As a business owner, which type of designer would you rather have in your corner? *This is not to belittle the client. They are an expert about their business and its specific products or services. But they are not an expert in design, which is why they bring in outside help.